Sevier-ly Relaxing! 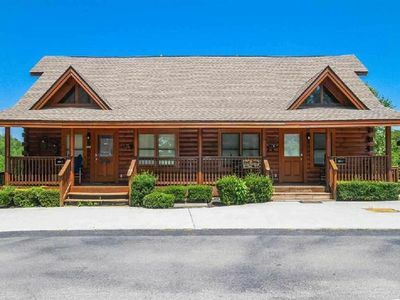 Minutes from Dollywood, Near All Area Attractions! 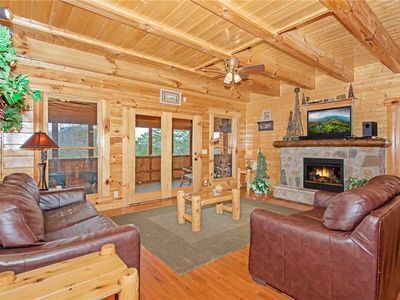 This Smoky Mountain log cabin allows for some "Sevier-ly Relaxing" vacations. 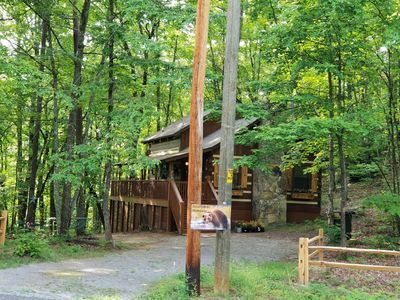 The drive in is comfortable with NO steep, dreadful mountain roads to navigate. 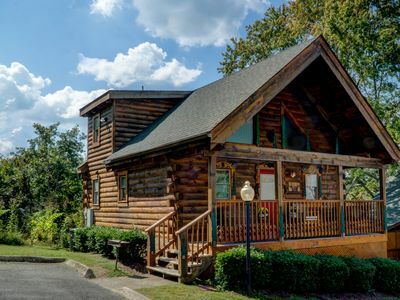 The cabin is only a couple of miles back in the woods behind Dollywood providing our guests a true Smoky Mountain get-a-way with a short drive out to all the attractions of Sevierville, Pigeon Forge, and Gatlinburg. 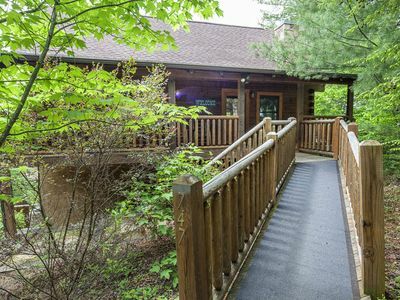 Less than 2 miles to Dollywood and Dollywood's Splash Country. 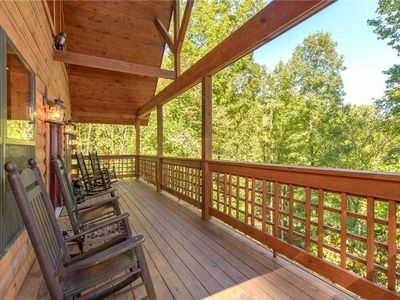 Quick access to the Parkway in Pigeon Forge via Veteran's Blvd, Teaster Lane (to the Island at Pigeon Forge), or Collier Drive (to Governor's Crossing). 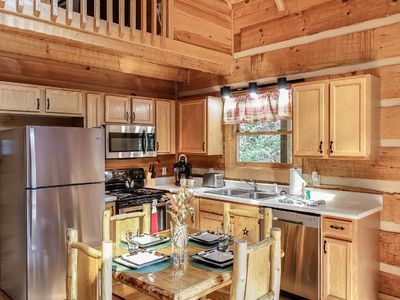 Upon entering the cabin, you will feel right at home in the open floor plan with newly furnished living room, and rock fireplace. 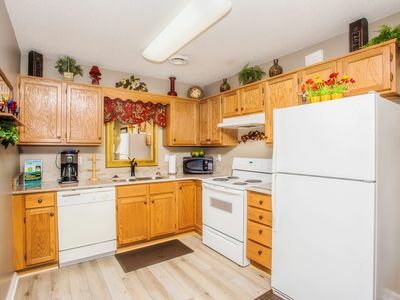 We are sure you will find all you need to have a little fun whipping up a snack or a full meal for your significant other or little ones in a fully EQUIPPED KITCHEN/dining area! Now as you make your way on over to the LIVING ROOM, you will notice a very comfy, NEW sleeper sofa to do some "relaxing" on while catching a movie or cheering on some fierce competition on the NEW AIR HOCKEY table. And we love the classic arcade game (Pac-man/Galaga) over in the corner. 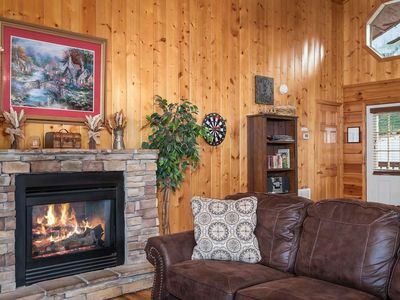 And don't forget the dart board hanging on the wall waiting for some action. 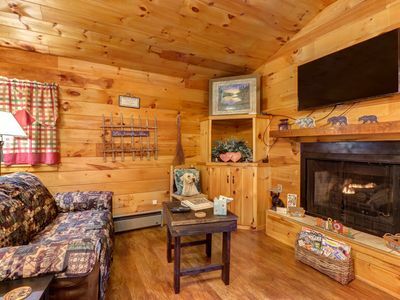 I'm telling you, this cabin has it all!!!!!! 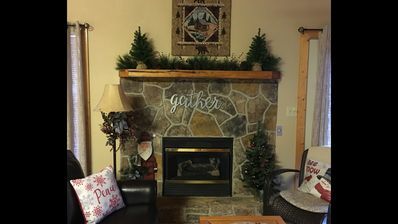 It's perfect for making your home-away-from-home and just "relaxing" with your favorite book in front of the fire, or you can stay busy most of the day trying out all the fun activities right here in the living room. 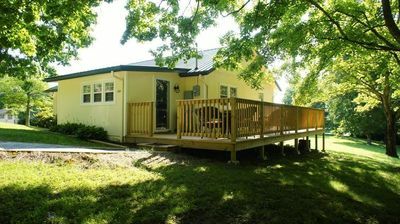 Passing through the bedroom door, you will immediately want to sink into the heart shaped jacuzzi tub or this big king sized bed which make this bedroom sooooo inviting for any weekend get-a-way or a long honeymoon stay.The gas fireplace in the bedroom adds to this romantic atmosphere. 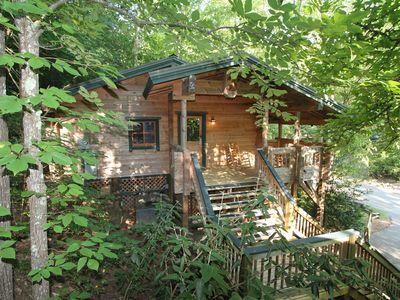 The big back porch offers a wooded view off the back of the cabin, some more comfortable seating and a good, warm HOT TUB. 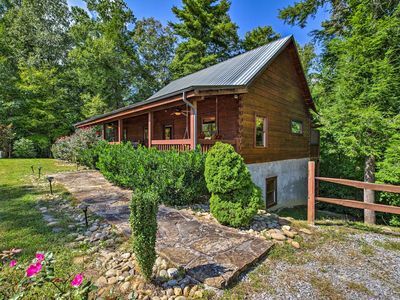 There's a door accessing the back porch from the living room and a second door from the bedroom directly to the back porch. Washer and dryer so no need to pack so heavy. 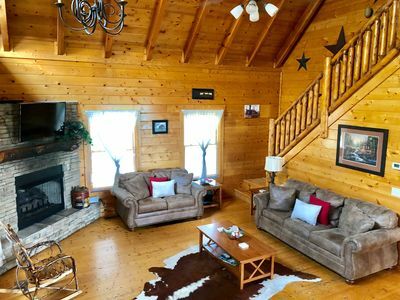 We're sure you will love our "Sevier-ly Relaxing" log cabin nestled slightly back in the woods in this PERFECT location as much as we do, and we hope you enjoy all this cabin offers as you spend your time here. 100% refund if cancelled at least 60 days before arrival date. Absolutely NO monetary refund for any reason. This includes adverse weather conditions, mechanical failures at the cabin, any health/personal reasons, no shows or shortened stays. The best way to protect your investment; we recommend you purchase a trip insurance. 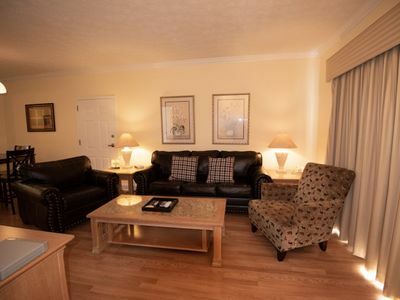 Cancellations with no trip insurance, IF I am able to re-book the time you reserved, I will send you a refund less 20% of the total gross rental amount. 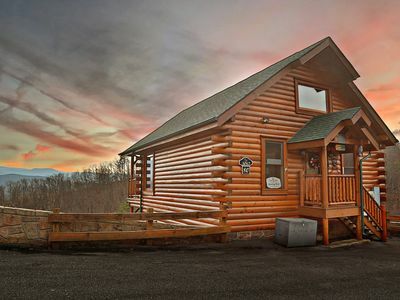 Beautiful Pigeon Forge Cabin. Minutes to Everything! Perfect Setup for Groups. 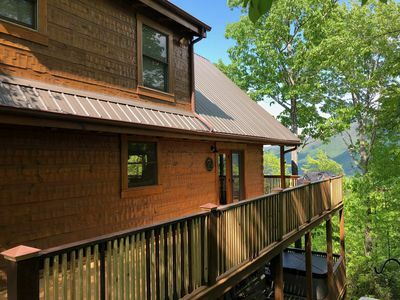 Recently Renovated Cabin Two Miles from the Great Smoky Mountain National Park! 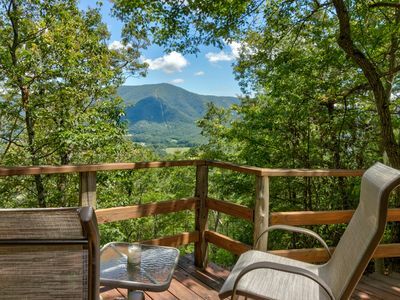 #instaWorthy , Gorgeous View, secluded!! Don’t miss!!! 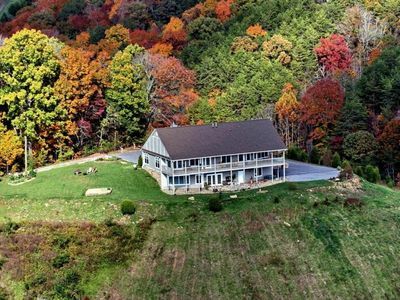 A KING'S PARADISE IN THE SMOKIES WITH INDOOR POOL AND GORGEOUS VIEWS!